On the eve of its Foreign Minister’s visit to India, Sri Lanka today said good relations with India were a priority and it hopes to take bilateral ties forward. “We treat good relations with India a priority. We hope to build on our personal friendships with India,” Ajith P. Perera, Deputy Foreign Minister, said in the backdrop of Foreign Minister Mangala Samaraweera’s maiden visit to New Delhi starting tomorrow. It will be the first high-level visit between India and Sri Lanka after the installation of the new government in the island nation. “This is a government of reconciliation with all communities being represented. 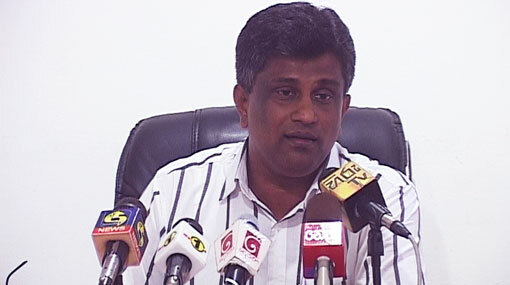 So Minister Samaraweera’s tour will happen as a representative of such a government”, Perera added. Samaraweera is to visit New Delhi on the invitation of his counterpart Sushma Swaraj. He will hold bilateral talks while extending to New Delhi the greetings from President Sirisena and Prime Minister Ranil Wickremesinghe, Perera said. Sri Lankan President Maithripala Sirisena will visit India on his maiden foreign trip next month, PTI reported.